Having recently reviewed the excellent HD Pentax-D FA* 50mm f/1.4 AW lens, there is a strong sense of deja vu as we look at the Tokina Opera 50mm f/1.4 FF lens for Nikon and Canon full frame cameras. Very clearly the two are closely related, maybe not 100% identical, but certainly sharing the same basic specification and build. So we have the potential here for another Zeiss-challenging 50mm optic, this time for Nikon and Canon, and it will be interesting indeed to see if the same potential is realised. 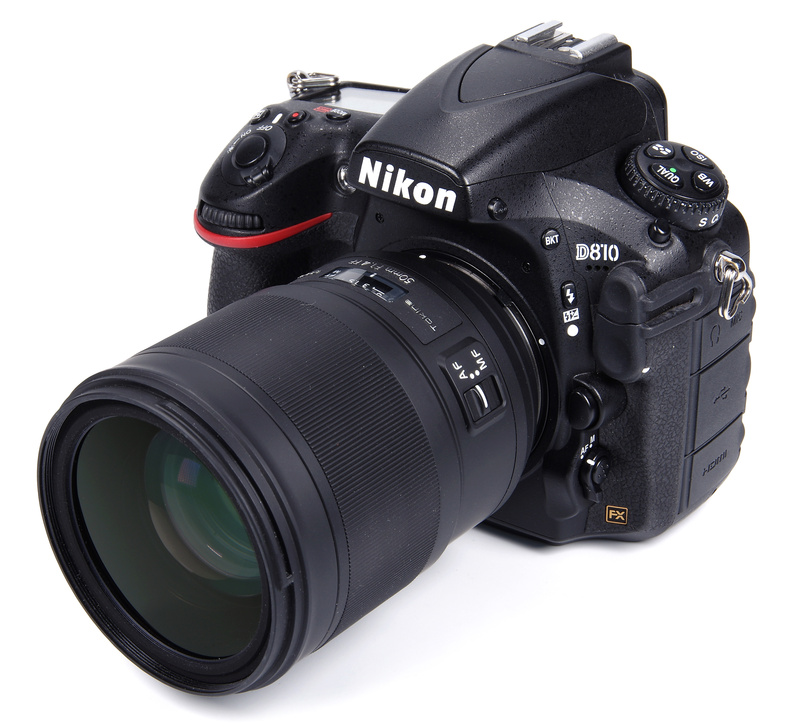 Reviewed here using the Nikon D810, full frame, 36MP camera, the Tokina Opera lens sits well and balances perfectly. The package is bulky and heavy but handles smoothly and with a total lack of fuss. Construction quality is very high and the lens weighs in with a substantial 890g without hood of caps. Add the supplied petal hood and we have 940g. These weights are the actual ones measured for this review. There is a small removable window in the hood to enable polarising filters to be rotated with the hood in place. Within the bayonet, for the hood, there is a conventional 72mm filter thread. Tokina designates the coating as ELR, Extremely Low Reflection. The lens also has weather sealing and dust sealing. The manual focus ring is broad and offers a fine grip. The action is superbly smooth and manual focusing tweaks can be applied without moving from the AF setting, just the same as the Pentax QuickShift feature. A small clear plastic window shows the distance scale, clearly marked in feet and metres, but there is no IR correction mark and no depth of field scale. The AF/MF switch is self-explanatory, the AF motor is a ring type that offers very swift and silent internal focusing. There can be a slight juddering as focus is found, but the result is very accurate and reliable. 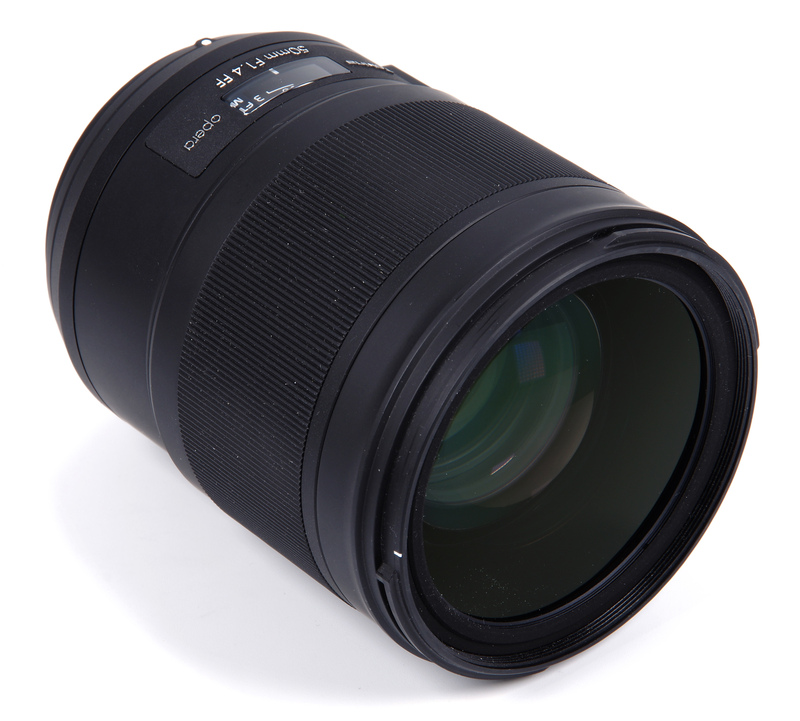 Focusing is down to 0.4m, or 1.31 feet, giving a maximum magnification of 0.18x, very slightly closer focusing than traditional 50mm lenses. The electromagnetic diaphragm comprises 9 blades, rounded to aid in improving bokeh, the smoothness of the out of focus areas in an image. Optical construction is 15 elements in 9 groups, a long way from the traditional 7/6 construction. There are also 3 Super Dispersion and 1 Aspherical element. 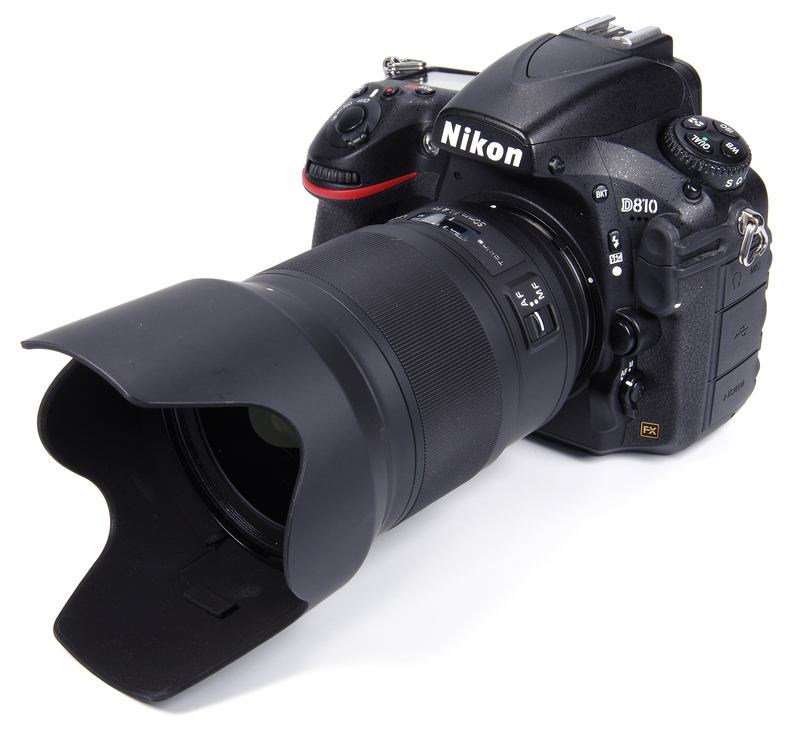 The lens was reviewed in Nikon mount and the quality of manufacture is excellent, the lens bayoneting smoothly onto the D810 body. A Canon mount version is also available, but no Pentax version for obvious reasons. In terms of handling, this is impeccable with the full frame bodies, but a bit unbalanced with the APS-C format because of the size and weight. There is no built-in shake reduction, not a problem with cameras that offer in-body stabilisation, but significant for Canon and Nikon users, where this feature is in the lenses. For optimum sharpness, a tripod will make a difference, otherwise, we rely upon high enough shutter speeds to arrest movement. 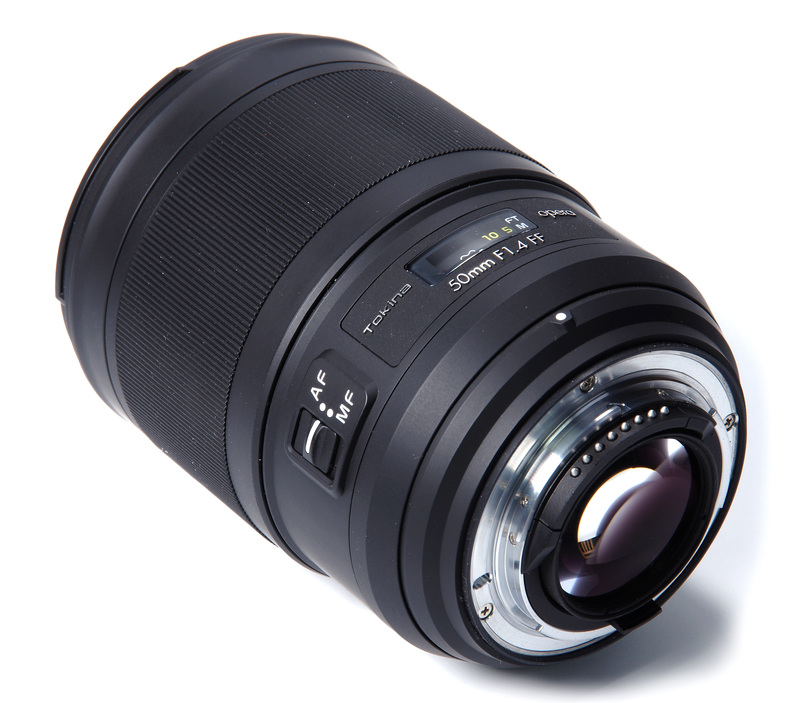 I would like to see a test with both this and a comparable Canon Model of your choice with this lens because I like this color rendering better than most after market Nikon lens and also on adapters with the new mounts from Nikon and Canon which are 55 and 54 mm if I remember correctly. Thanks for the review.